George L. Toper is Counsel with Pastore & Dailey LLC. Mr. Toper focuses his practice on commercial real estate transactions, construction law and residential real estate transactions. Mr. Toper is the head of Pastore & Dailey’s Real Estate Practice. Mr. Toper's commercial real estate practice includes the acquisition and sale of office buildings, apartment buildings, retail properties and shopping centers, warehouse and industrial properties; commercial real estate financing and refinancing; the acquisition and sale of companies with real estate holdings, including restaurants and retailers; commercial real estate leasing involving office, medical, retail and industrial space; landlord-tenant relations and zoning matters. Mr. Toper's expertise also extends to construction loans for commercial real estate and subleasing for commercial leasing. Mr. Toper's construction law practice includes drafting and negotiating construction contracts for owners, tenants and contractors for new construction and renovations for both commercial and residential properties; construction dispute resolution; interfacing with owners and architects and negotiating with same; placement and release of mechanic's liens; zoning issues resulting from new construction or renovations; and obtaining building permits and certificates of occupancy. Mr. Toper's residential real estate practice includes the purchase and sale of single family homes, condominiums and co-ops; closing residential financing arising from the purchase of residential property and mortgage and co-op refinancing. Over the last year Mr. Toper has drafted forms and practice commentary involving commercial leases for Lexis/Nexis. These forms are utilized by less experienced attorneys as a starting point for their drafting of commercial leases. As well as Mr. Toper’s extensive real estate and leasing experience, he also has extensive experience in drafting Asset Purchase Agreements involving the sales of on-going businesses. These APA’s involve in some instances the sale of commercial property and in other instances the assignment of leases. Mr. Toper has also represented retail businesses as well as medical and dental practices in the sale of their respective businesses and practices. Clients of Mr. Toper have included Fortune 500 companies, commercial real estate developers and owners of office, retail, and industrial properties, retailers, restaurants, medical and dental practices, law firms, non-profit institutions and financial companies. 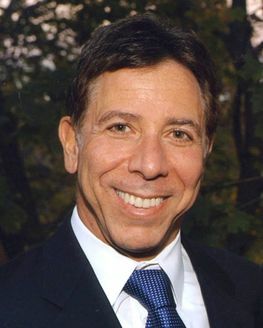 Mr. Toper is admitted in the State bars of New York and Connecticut, the U.S. District Courts for the Southern and Eastern Districts of New York and the District of Connecticut, and the United States Supreme Court. Mr. Toper graduated from the Bronx High School of Science, received his Bachelor of Arts degree in History from the University of Rochester, and his Juris Doctor degree from New York Law School.